Part 1. 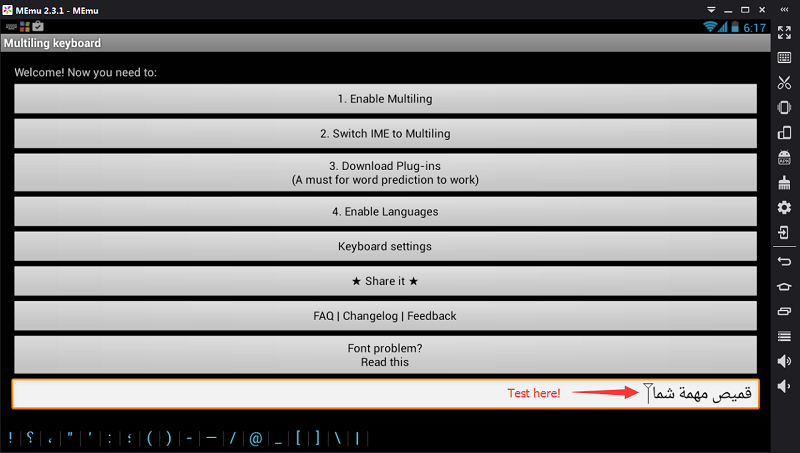 Since 2.3.1 release, MEmu has supported multilingual keyboard input, including German, Russian, and etc. 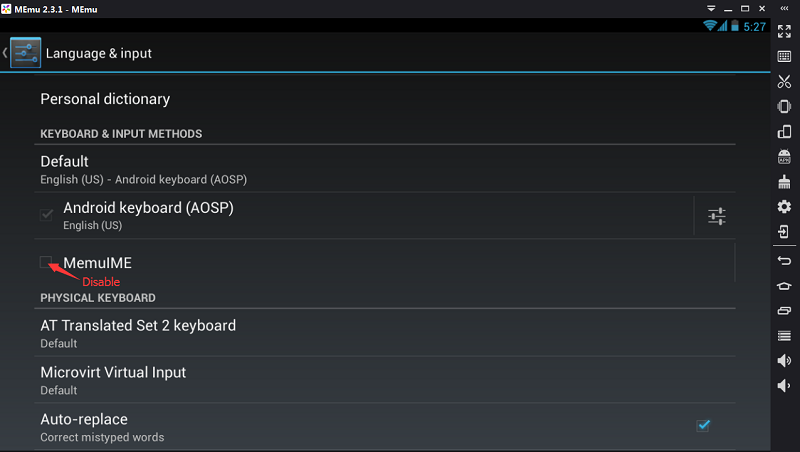 1.1 Enter into Language & Input of Android Settings. 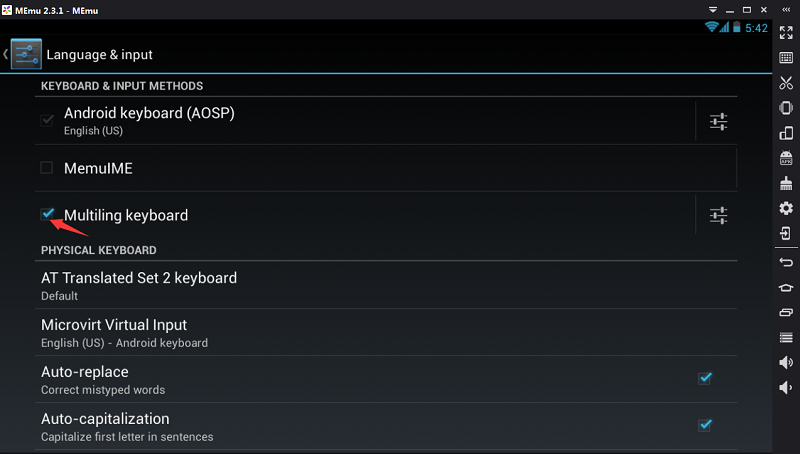 Disable MEmu IME and use the default Android IME (AOSP) . 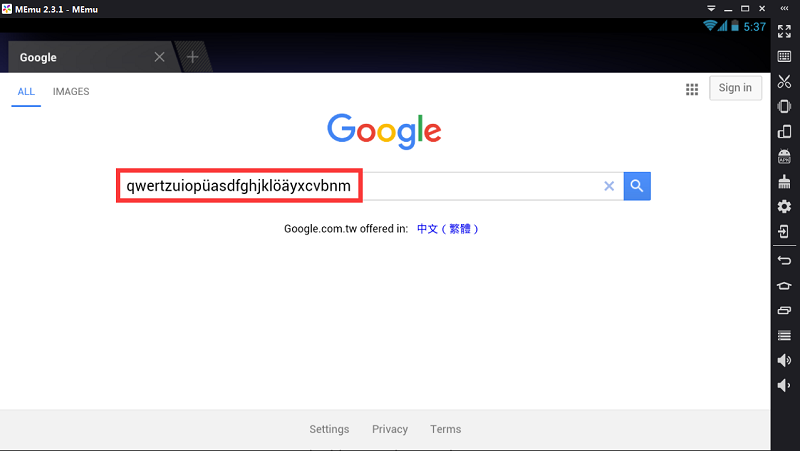 1.2 Click Microvirt Virtual Input and setup keyboard layouts. 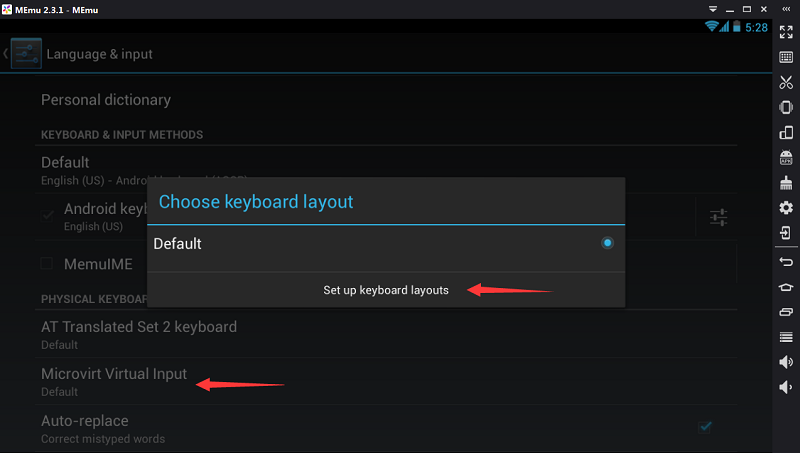 1.3 Select keyboard as you want, like German Android keyboard. Part 2. 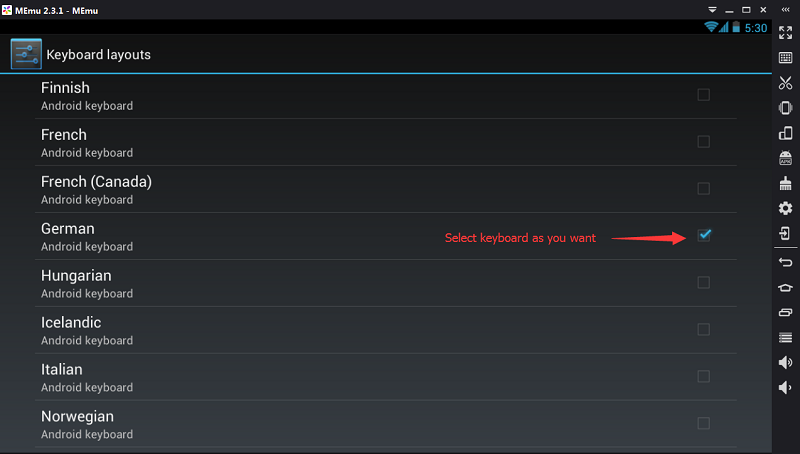 For those languages not included in Android keyboard list like Arabic, you need to leverage 3rd party app to input. 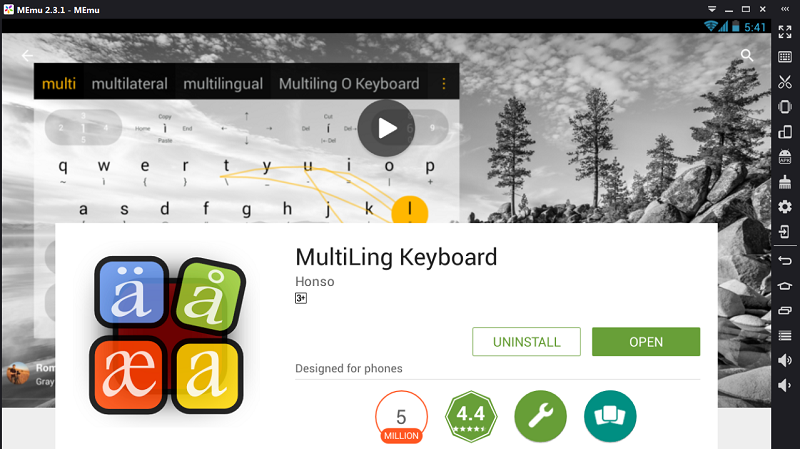 I recommend you an app named MultiLing Keyboard. 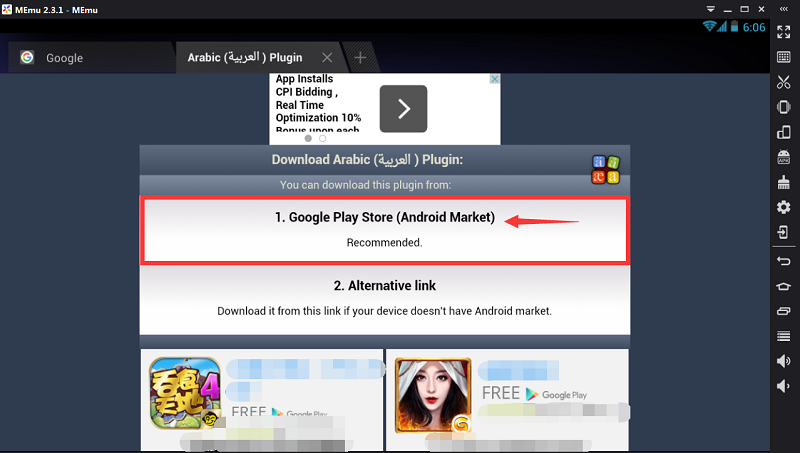 2.1 Search this app in Google Play Store and install&open it. 2.2 Follow the steps. 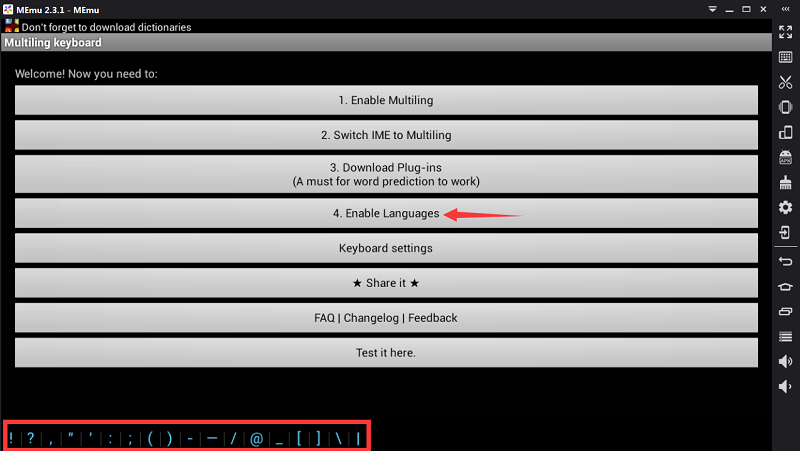 Enable Multiling at first. 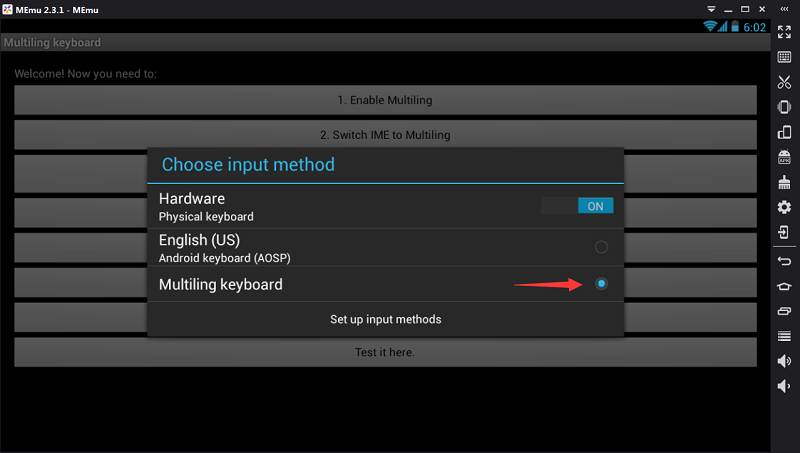 2.4 Switch IME to Multiling then. 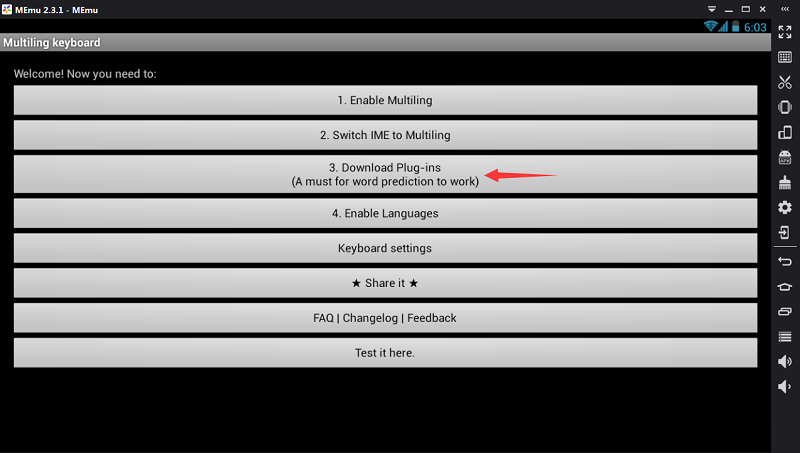 2.6 Download Plug-ins (dictionary) then. 2.8 Search your target language, like Arabic. 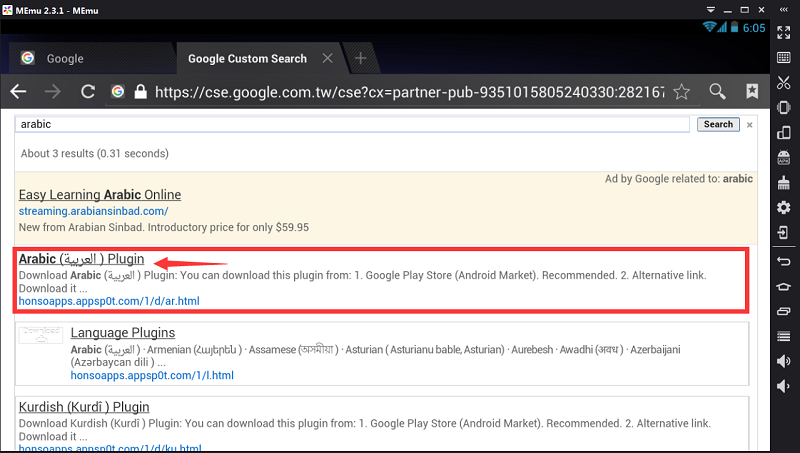 2.10 Install this plug-in from Google Play Store. 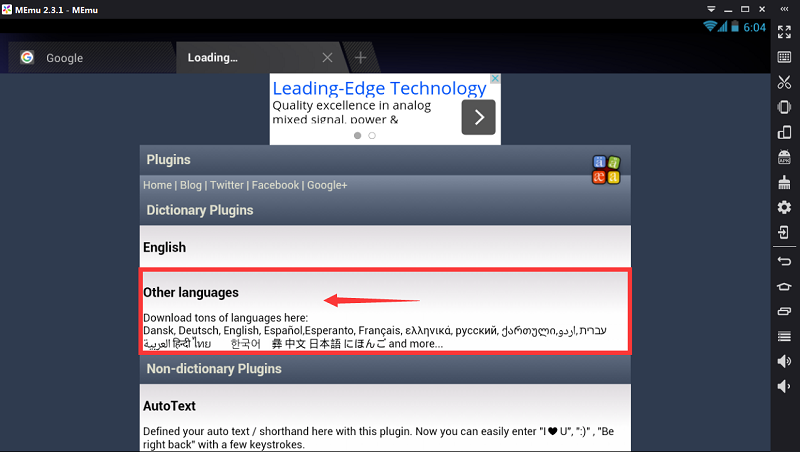 2.11 Enable new language at last. 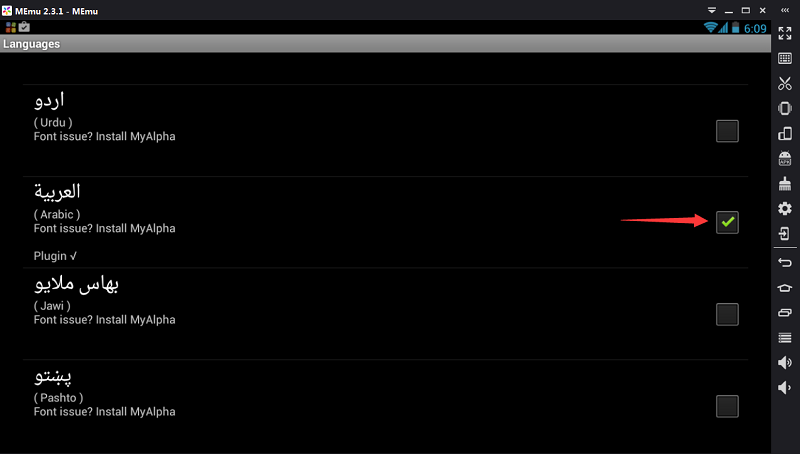 2.12 Select Arabic (Disable the others).